American Airlines has been recognized as the top North American carrier for best Premium Economy product in the 2019 TripAdvisor Travelers’ Choice® Awards for airlines. TripAdvisor has awarded the world’s top carriers based on the quantity and quality of reviews and ratings for airlines by TripAdvisor flyers gathered over a 12-month period. American was the first U.S airline to add Premium Economy and currently offers more Premium Economy seats than U.S. competitors. 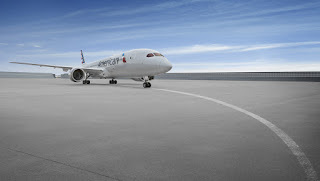 In just a few weeks, American will complete its Premium Economy retrofits, providing the travel experience on 124 widebody aircraft — the airline’s entire widebody fleet, with the exception of its Boeing 767s and Airbus A330-300s that will be retired in the coming years. Partnerships with luxury service providers Blade and The Private Suite. With Blade, customers can turn an hour of airport traffic into a short helicopter ride to JFK or LAX. The Private Suite allows customers to access a private airport security entrance at LAX. American plans to continue investing in the premium experience throughout 2019.